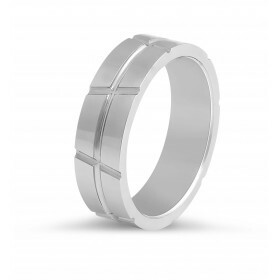 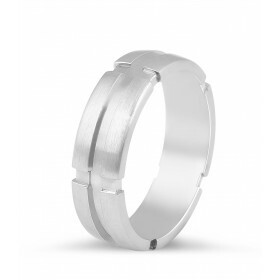 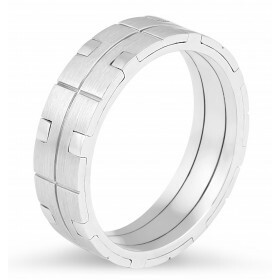 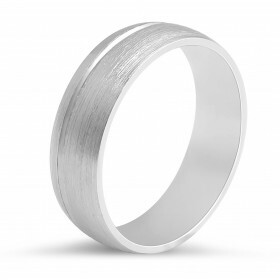 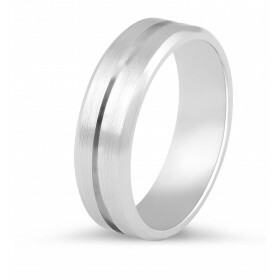 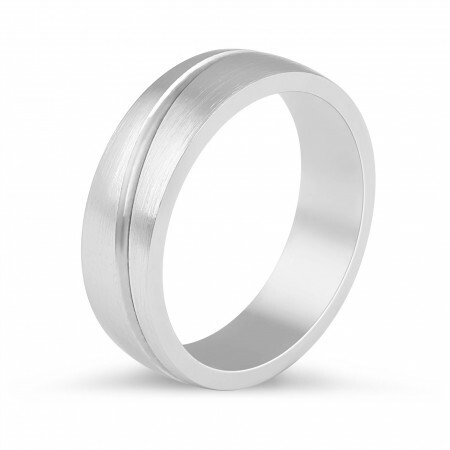 Modern brushed wedding band with slightly rounded profile. 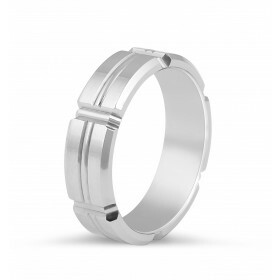 Polished curved inlay running all the way around the band for an organic feel to design. 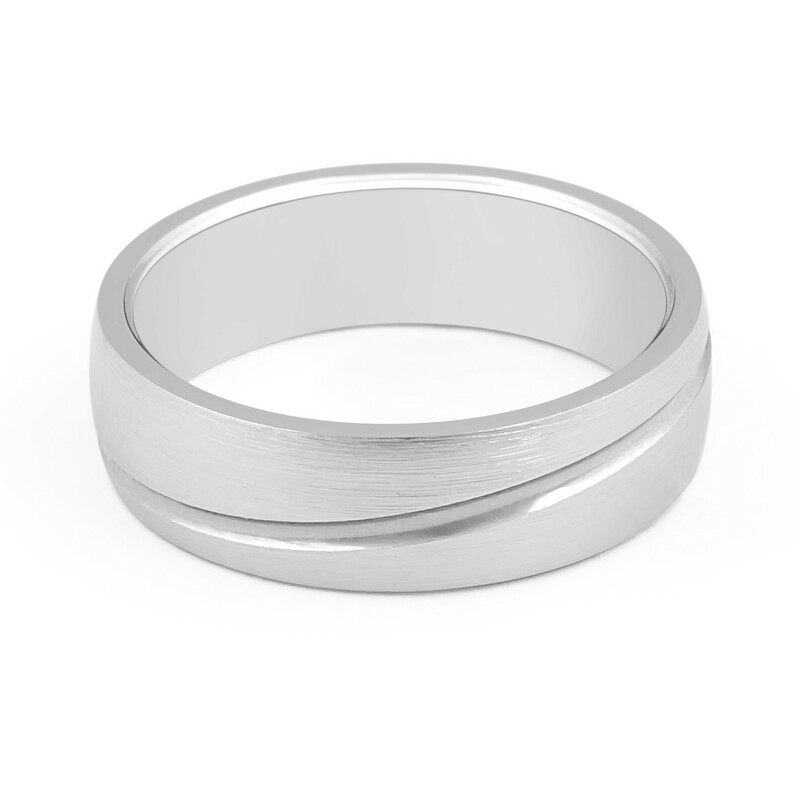 Solid Modern brushed wedding band with a curved inlay detail in 6 MM.